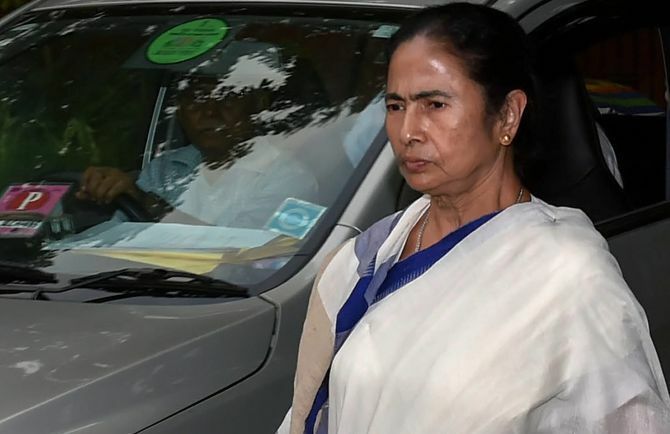 West Bengal Chief Minister on Monday accused Congress of taking help from Rashtriya Swayamsevak Sangh to win elections in West Bengal and alleged that the organisation is campaigning for Congress candidate Abhijit Mukherjee, the son of former president Pranab Mukherjee. RSS is not helping the Congress, rather it is protecting the ruling party (Trinamool Congress) in West Bengal, West Bengal Pradesh Congress Committee president Somen Mitra told PTI. Banerjee alleged that RSS is campaigning for Abhijit Mukherjee at Jangipur and Adhir Chowdhury at Baharampore, while the Communist Party of India-Marxist has already sold out to the Bharatiya Janata Party. She said Baharampore Congress candidate Adhir Chowdhury's tactics to win election with the help of the Left and BJP will not be successful this time. "People should not to vote for such a party with a dubious character". "The RSS has set a firm foot in West Bengal because of Mamata Banerjee, who had brought the BJP here through her party's alliance with the NDA," he said. It is Congress which is fighting against BJP across the country. Unlike TMC it had never been part of the National Democratic Alliance in the past, it had never aligned with the saffron party, Gandhi had said.